It was over a century ago when Jacob Prevor boarded a boat to travel from Russia to America, bringing with him his skills as a fruit trader, the occupation of his forefathers since time immemorial. He would set up a wholesale operation on the old Wallabout Market in Brooklyn, New York, which was then the second largest wholesale produce market in America. Jacob’s son, Harry Prevor, moved the family business to Manhattan, at the Old Washington Street Market, then the largest produce market in the United States. He operated as a wholesaler and an auction buyer, and was selected by his peers to serve as chairman of the Auction Buyers Association, a role he would hold for decades. Harry’s son, Michael Prevor, would again move the family business, this time in 1967 to the brand new Hunts Point Market in the Bronx, New York. He would build the company into not only one of the largest wholesalers in America but also the largest independent produce exporter, a substantial produce importer and would diversify the company — at various times having retail, foodservice and growing/packing and shipping operations – along with expanding the product line to include the export of cheese, deli, meat, poultry and eggs, among other items. Jim Prevor worked side by side with his father, uncles, brother and company associates and experienced the thrill of this fast-charging industry. He also came to believe that the media serving the trade had not kept up with the times. There were various news sources, but no business magazines — nothing to look at the industry from a strategic point of view and nothing specifically targeted for the buying segments of the trade. Beyond this, Jim yearned to create something that would serve to help elevate and modernize the industry. As a son of the industry, he wanted to create something that would allow future sons — and daughters — to speak of their family’s engagement with greater pride as this ancient industry was transfused with modern technology and business methods. The year was 1985 and Jim invited his friend and fraternity brother, Ken Whitacre, a graduate of Cornell’s famed School of Agriculture and Life Sciences and graduate student of Columbia University, to join him on this quest. The result was that in October, 1985, they launched PRODUCE BUSINESS magazine, a publication committed to “Initiating Industry Improvement” and to serving the marketing, merchandising, management and procurement issues of the trade. Over the next 30-plus years, that fledgling publication would grow into the largest produce-specific magazine in the world and would gain a position of respect among trade participants around the world. From this seed much would grow. PRODUCE BUSINESS grew in depth and reach as it developed digital outlets, such as Jim Prevor’s Perishable Pundit, PerishableNews.com and ProduceBusiness.com. It further grew its ability to serve its readers by offering live events, a roster of executive share groups, large commercial events, such as The New York Produce Show and Conference and specialized thought-leader exchanges, such as the Global Trade Symposium and the “Ideation Fresh” Foodservice Forum. The voice was well received beyond the shores of America, and events and publications were established overseas: The London Produce Show and Conference, now the largest produce event in the 5th largest economy in the world, ProduceBusinessUK.com, which extends our tradition of thought-leadership and, our newest event, The Amsterdam Produce Show and Conference, which focuses on innovation and brings our brand of thought-leadership to the very heart of the European continent and the global produce trade. Our focus on the industry of tomorrow led to a focus on students and attracting and retaining talent in the industry. It involved events such as the Fresh Careers Fair in the UK and the transcontinental University Interchange Program, and it involved training and executive development programs, such as the Foundational Excellence Program, offered in conjunction with Cornell University. Jim would be quoted, interviewed or featured in over 100 media venues, and The Evening Standard would call Mr. Prevor, “…one of America’s most revered commentators on the food industry,” and The Sunday Telegraph called him “One of America’s most influential commentators on the grocery market,” while The Times of London has identified Mr. Prevor as “…one of the most influential commentators on the supermarket sector….” Back home, The Minneapolis-St. Paul Star Tribune named Mr. Prevor “a well-respected authority on food safety.” His writing has been featured in influential publications such as The Wall Street Journal. 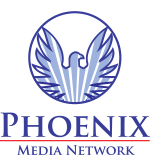 This reputation for incisive and honest analysis led to opportunities beyond fruits and vegetables, and Phoenix Media Network is now involved with print and digital publications, such as DELI BUSINESS, CHEESE CONNOUISSEUR and FLORAL BUSINESS. To help elevate and modernize the industry of which we are a part. To boldly tell the truth when others would prevaricate. This journey has been an extraordinary one, and it has been conducted hand-in-hand with others sharing the same values and holding the same interests. Whether you are a prospective employee looking to be a part of something important and just, an industry member looking to do well by doing good, or an academic or journalist looking to understand our fields better, we invite you to engage in helping to make the next 30 years as fruitful as the last 30 have been.